Loch Ness is a large, deep, freshwater loch (lake) in the Scottish Highlands, extending for approximately 37 kilometers southwest of Inverness. Its surface is 16 meters above sea level. Deep, dark, and narrow, Loch Ness stretches for 23 miles between Inverness and Fort Augustus. Its bitterly cold waters have been extensively explored in search of Nessie, the elusive Loch Ness monster, but most visitors see her only in the form of a cardboard cut-out at Drumnadrochit’s monster exhibitions. The busy A82 road runs along the northwestern shore, while the more tranquil and picturesque B862 follows the southeastern shore. A complete circuit of the loch is about 70 miles – travel anticlockwise for the better views. Loch Ness is a beautiful destination, and these hostels provide an excellent base for exploring the area. Nestled between mountains and lochs in the heart of the Great Glen, 20 miles north of Fort William and 10 miles south of Loch Ness, the Great Glen Hostel is a welcoming and comfortable place to stay when you’re touring the Highlands. Both Urquhart and Eilean Donan castles are within an hour’s drive and are easy day trips. Or take a ride on the mountain gondola at Aonach Mor (20 minutes drive) for spectacular views of Lochaber. It is a great base for outdoor enthusiasts too: hillwalkers are spoiled for choice with 59 Munros in a 20 mile radius of the hostel, and paddlers can enjoy the rivers Spean, Garry, Roy, and Moriston, all within easy reach. Water sports enthusiasts can paddle or sail on Loch Lochy and Loch Oich – boats and canoes can be hired locally. The Great Glen Way, a bike and hike route between Fort William and Inverness, is just a few minutes&apos; walk away. If you are looking for an adrenalin rush the staff can organize white water rafting trips, canyoning, quad biking, abseiling and more for you. They also offer tailor-made outdoor activity/team-building packages for groups. The hostel has cozy family rooms and dormitories, a fully equipped self-catering kitchen, laundry facilities, excellent drying room, TV lounge, internet access, secure bike and canoe storage, internet access and a hostel store. All bedding is provided and towels are available for hire. Perched on the banks of legendary Loch Ness, The Lochside Hostel offers unrivalled views of Scotland&apos;s most famous loch, and direct access to the water’s edge. Perfect for walks, monster spotting, and even a dip into the magical waters. As well as the unique location, and lovely facilities, the property is also easy to get to. All busses from Inverness, Skye, and Fort William stop here. If you travel by car this makes a great base to explore most of the Highlands from Skye to Ullapool to Ben Nevis to Inverness to Aviemore and the rest. It is also great for hikers and cyclists as it is on the Great Glen Way. They offer a self-cateing facility and you can bring your own food or choose to buy some of the food they sell onsite to prepare. Breakfast is available for a small fee and free tea and coffee is available all day. The facility offers a large lounge and dining area with amazing views, a real log fire when it&apos;s cold, a large self-catering kitchen, an ice machine, pool table and table tennis, reception shop selling food, snacks, sweets, beer, and wine, barbeque facilities, board games, book exchange, laundry service, towel hire, hairdryers , clean bed-linen, great views, loch access and forest walks, helpful staff, and free Wi-Fi. 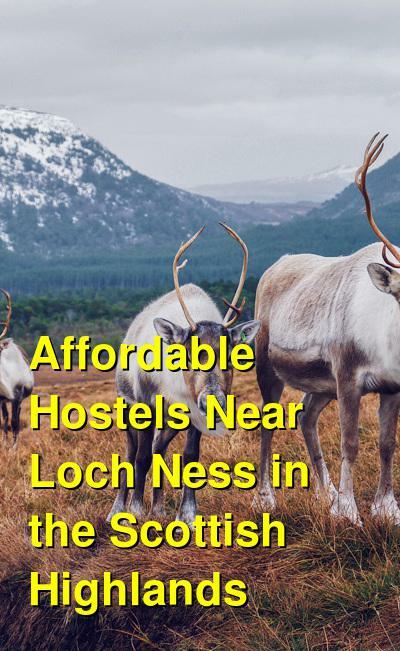 Loch Ness Backpackers is your Highland home away from home, with free tea and coffee, a wood burning stove, a well-stocked bar, large guest kitchen, and lots of friendly smiles and conversation. The farmhouse itself dates back to the 18th century. You can read about the original owners on the wall in the living room. Nowadays, it retains its charm but has been modernized to ensure that you get a good night&apos;s sleep and a nice hot shower in the morning before you head out to explore the spectacular surroundings. Free parking, free linens and free Wi-Fi are included and bikes and towels are available for hire. Inverness is just 20 minutes by car or bus. Just off Great Glen Way. Ideal location for visiting Urquhart Castle. Breakfast and laundry service are available. Catering available for groups of 10+. Dogs welcome with advance notice. Morag’s Lodge (Loch Ness) is perfect for independent travelers. It is a clean, colorful, and well run hostel with great views of Fort Augustus. 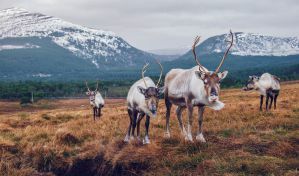 Set in wooded grounds, just minutes&apos; walk from the bustling village of Fort Augustus and the banks of Loch Ness, Morag’s Lodge offers quality budget accommodation for travelers and backpackers. The 4 star facilities include huge comfy beds and en-suite rooms. Twins and double rooms available on request. Bar with open fire and regular live music also available onsite. Breakfast, packed lunch and evening meals available for a fee. A fully equipped self-catering kitchen, dining room, and TV lounge, are available for guests use. Linen is included in price.